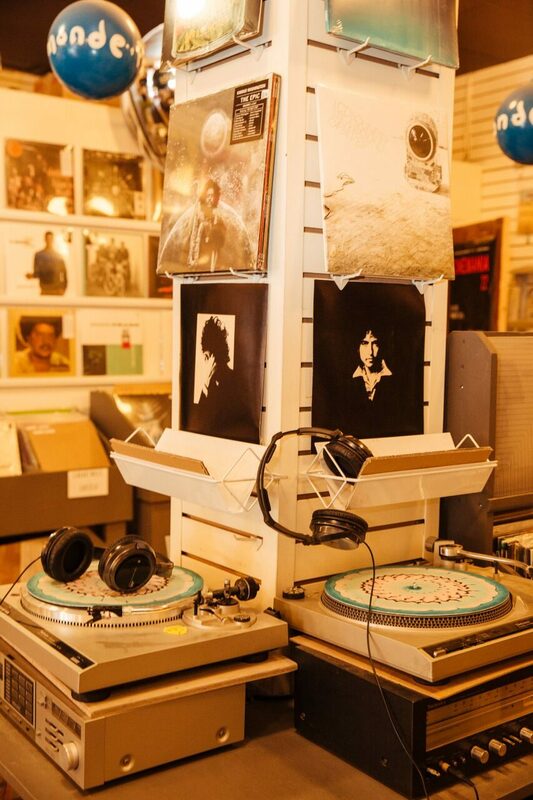 In a series profiling Montreal-based record shops, Guest Contributor Bianca Giulione begins her new feature at one of Mile End’s most famous music hotspots: Phonopolis. Mile End’s Phonopolis has become a neighbourhood fixture, a key pit stop on a dérive down Rue Bernard. If you weren’t riding the beloved 80 bus back in 2007, you might not know that the store’s first location was a storefront on Avenue du Parc, between Fairmount and Saint Viateur. The record store opened in October of that year thanks to founder Nathan Gage, who moved to Montreal in early 2007 from to Victoria, B.C. after his band Shapes & Sizes decided to relocate. 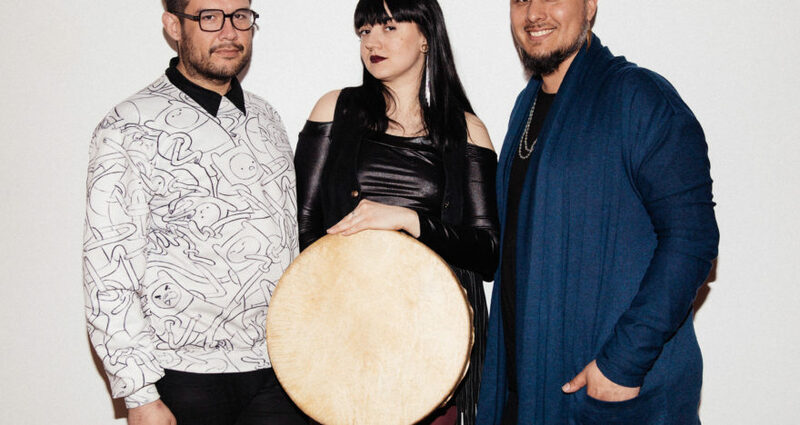 Following a wave of West Coast musicians, Montreal was an inexpensive and convenient home base for touring musicians, especially compared to Vancouver Island. In his downtime in between tours, he wanted something to do that was fulfilling. Nathan signed a lease for the Avenue du Parc location in September 2007 and did some basic renovations. The space took up the left half of the storefront that Mile End Kicks currently occupies, north of Fairmount on the east side of the street. The first records for sale at Phonopolis were records from his personal collection, and the first sign for the shop was handpainted by his friend Carl. And the name? “I liked the idea of a Metropolis of Sound. A ‘Phonopolis’,” explains Caila Thompson-Hannant, a.k.a. Mozart’s Sister – one of the store’s first employees, and at the time, also a member of the band Shapes & Sizes. At the very beginning, it was just Nathan at the shop six days a week – Tuesday to Sunday. Eventually, he hired the odd person to replace him while he was on tour, including the aforementioned current Phonopolis proprietor Jordan and Caila. Brendan Birkett, who was a frequent customer from the start before he became an employee in 2013, describes the early vibe as such: “I remember being impressed by how well curated everything was, a smallish collection of records that seemed to be uncannily lifted from my own specific, outsider musical brain while still feeling welcoming and not overly exclusive. And I liked that Nathan, for at least the first year or two, only had a calculator and a notebook behind the counter”. 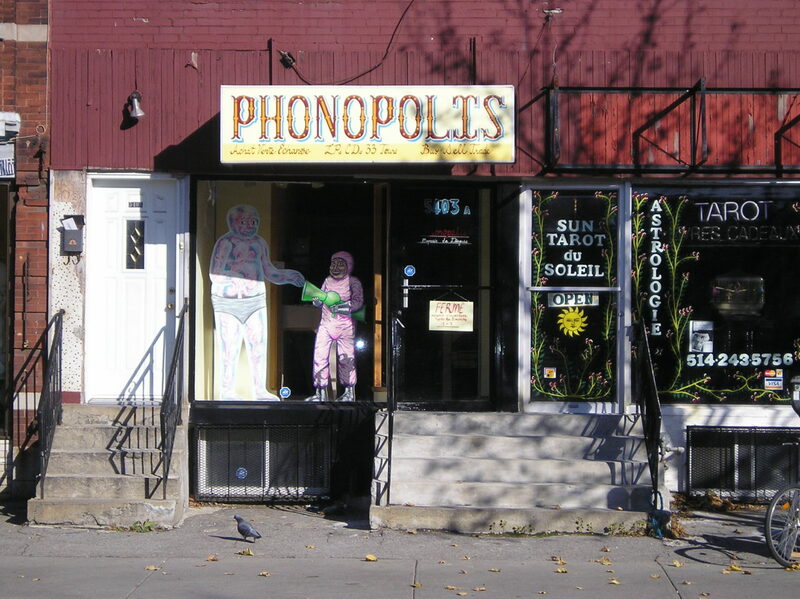 In its infancy, Phonopolis was largely a place that attracted people in the concentric circles of the Montreal experimental music community, but the reality of a viable business would soon become obvious. Despite the fact that it was described by some as a “shoebox” that was definitely a fire hazard, the first storefront had something the current Bernard store doesn’t: a basement. And according to early Phonopolis folks, it was nothing short of legendary. During Pop Montreal especially, the basement shows hosted there were rarely less than wild. After making your way down a narrow staircase to a cramped space with a folded up ping-pong table on the side, you could hear and maybe even see some of Montréal’s finest if you managed to find a spot to stand in the first few rows of the crowd. Beaver Sheppard once showed up five hours late to perform at his own show, but people waited. Former Braids member Katie Lee had a chunk of drywall from the ceiling fall on her while she was playing keyboard, but the show went on (she wasn’t seriously hurt), and other mid-late aughts figures in Montreal like Tune Yardz, Miracle Fortress, Final Fantasy a.k.a. Owen Pallett, Julie Doiron, Bry Webb from The Constantines, Aldon Penner of The Unicorns, and Gobble Gobble played the basement too. When experimental music collective Godspeed You! 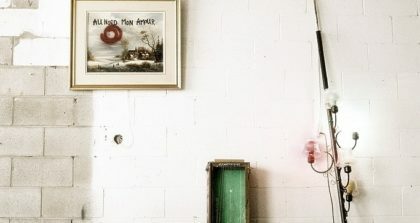 Black Emperor announced the end of their indefinite hiatus and subsequent reunion shows in 2010, Phonopolis was only one of a few places selling tickets, and fans lined up down the block for a chance to attend the band’s first shows in nearly eight years. Although perhaps not the wisest business decision, Nathan said the fact that Phonopolis did not charge service fees for tickets in the early days probably brought a lot of people into the store who may not have otherwise checked it out. Another draw to the store over the years are eye-catching window displays themed towards specific releases. Local musicians are given free reign to display whatever they’d like in the window – usually related to a record release, sometimes even choosing to display themselves – as was the case with Caila’s favourite windows by Institutional Prostitution and UN. After a few years on Avenue du Parc, with its back storage room or “death trap” as Jordan refers to it, nearly the same size of the sales floor full of slightly sketchy gas heaters, it was time for Phonopolis to relocate. Despite the fact that Avenue du Parc is a major Mile End artery, foot traffic was never amazing. Nathan had been scouting new locations for a while to no avail. Then one day while he was on tour, his then-girlfriend and now wife Bethany, noticed a Hasidic linen store on Rue Bernard that was closing down. Right next to beloved bookstore and publisher Drawn & Quarterly, it was a no-brainer for Nathan. 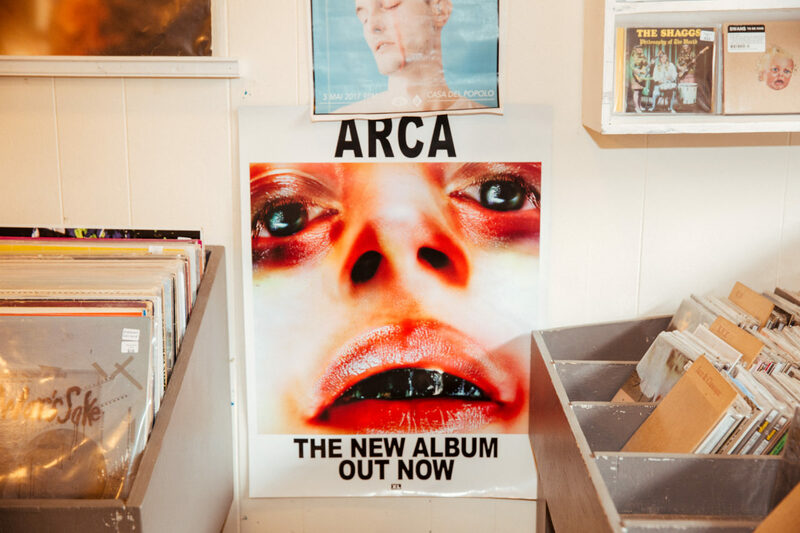 The move to a bigger, better storefront auspiciously coincided with a general vinyl explosion that was gaining momentum for years amongst music lovers worldwide. Due to increased foot traffic and more floor space, Phonopolis was able to expand its musical offerings, including less weird records for those with not so esoteric taste. To long term employees like Caila, Phonopolis became a legitimate business when it relocated. 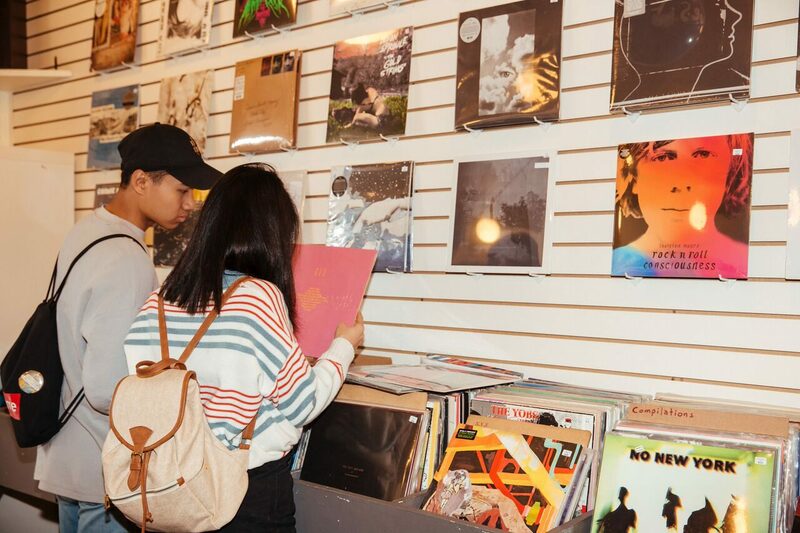 Staff noticed more local DJs coming to the store for records, so they made an effort to expand their 12-inch selection and better organize sub-genres of dancefloor-oriented records to accommodate them. Due to the overall increased popularity of vinyl, there is definitely a wider variety of vinyl lovers coming into the store, not just “classic rock dudes,” Jordan explains. Other current employees echo this sentiment, while Caila has noticed that the rising price of vinyl has meant that less musicians shop at Phonopolis and Mile End in general has also changed – “More college kids, more money.” The variety of vinyl buyers continues to widen, and the shop has made incremental changes to cater to all their customers, ordering certain Record Store Day titles that they would have shunned in that past, for example. 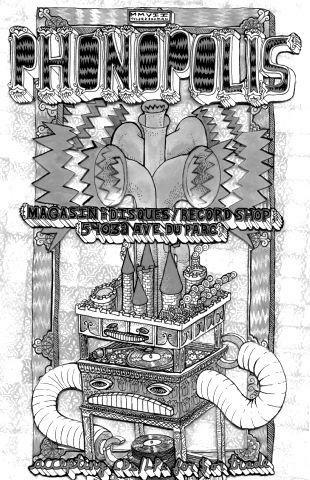 You’re guaranteed to find records that made Pitchfork’s year end list, but you’ll be equally certain to find a slough of used oddities and an impressive selection of local labels and talent on vinyl and tape. Although things have shifted in Mile End, in Montreal, and in the music industry in general since Phonopolis opened its doors a decade ago – the staff remains a deeply knowledgeable, plugged-in crew of musicians. To Brendan, Phonopolis “has generally brought more of a richly-hued, kaleidoscopic spectrum of sounds into my head, opening me up to a wider range of possibilities.” Jordan officially took over Phonopolis from Nathan in April 2015 with a business partner, and continues to expand the store’s used and new musical offerings to the best of his abilities. 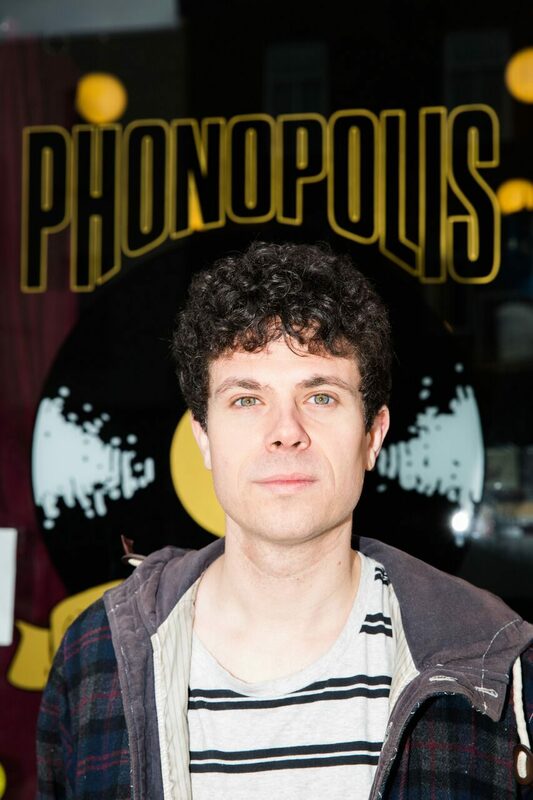 From Nathan putting his personal record collection up for sale to a full-blown viable business that has most importantly fostered a community of music lovers in Montréal, here’s to Phonopolis remaining a staple in Mile End’s dynamic music scene and beyond for many more years to come.